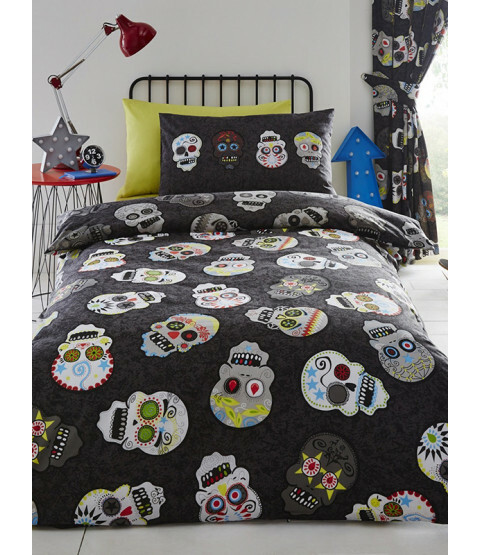 This eye-catching Sugar Skulls double duvet cover will add a stylish and quirky finishing touch to any bedroom. 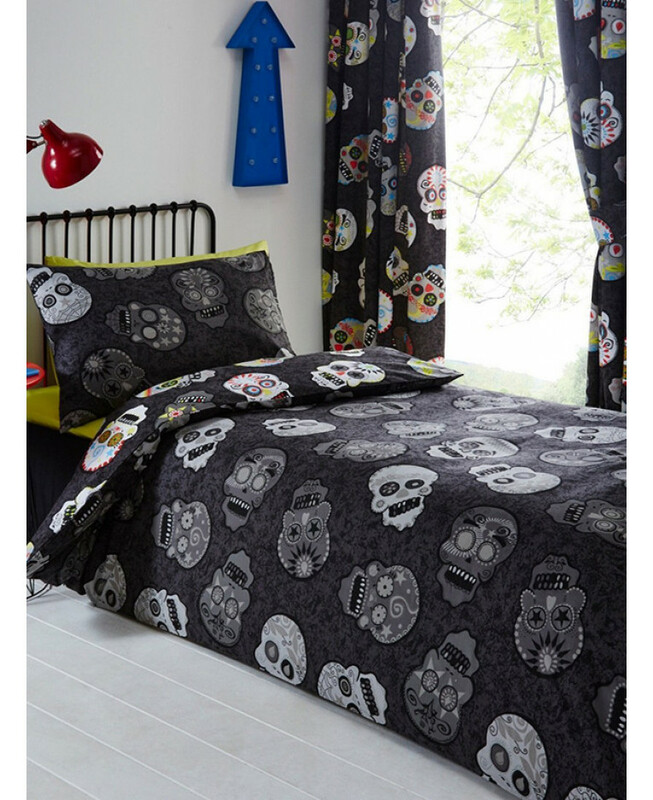 The fun design features a collection of patterned sugar skulls with colourful detailing on a mottled black background. The reverse has a similar design with the skulls in tones of grey. This bedding set is made from a polycotton blend and is suitable for machine washing and tumble drying on a low setting.